Structural Inspection Raleigh NC, Durham, Cary and Triad areas in need. The Triangle area of North Carolina is one of the fastest growing metropolitan areas in the United States. The Triangle’s growth is fueled by the technological innovations generated in the Research Triangle Park. 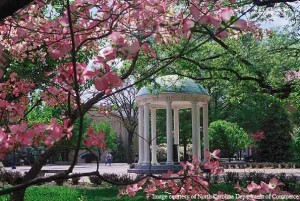 Structural Innovations Engineering & Consulting, PC is proud to service the Raleigh, Durham and Chapel Hill markets along with the sub-markets contained within including Cary. Structural Innovations Engineering & Consulting, PC provides the full spectrum of structural inspection services in the Triangle area. To assist with residential buyers, sellers and homeowners, we perform structural observations for single-family homes along with FHA / HUD foundation inspections for manufactured homes. Our structural engineers will assess every major structural component of the subject property during the course of their structural inspection. We also provide structural inspection and forensic investigation services for property owners of commercial buildings, industrial buildings and parking decks. We possess extensive design experience in all three types of buildings along with our knowledge of steel, concrete and masonry structures gives us the expertise necessary to diagnose the cause of structural issues in large structures. Our structural inspections follow all building code and industry standards for structural inspections.